The polymer platinum Bluetooth element is used to interact with nearby Bluetooth devices. Run the following command to use platinum bluetooth in your application and install it in your directory. It will install all the related elements of platinum-bluetooth under the bower_components folder. 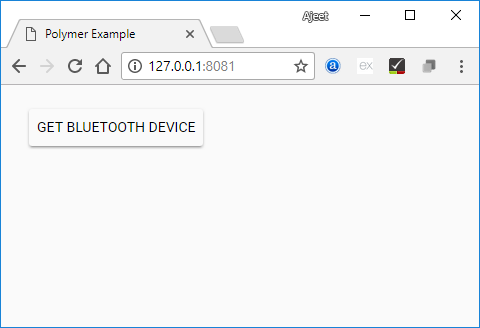 Create an index.html file and add the following code in it to see the usage of platinum-bluetooth element in Polymer.js.